As I write this, we are on the bus direct from Paris Beauvais airport to Porte Maillot Metro station. It is 10:30 am here, and we’ve been up since 2:00 am preparing for a 6:40 am flight out of Rome. We’ve yet to eat anything, and once we reach Porte Maillot (a one hour, 15 minute-long ride) we’ll be on the metro and then the Paris RER train before we can check into our hotel on the other side of the map, near Disneyland (estimated travel time of an additional hour). I think that’s enough “fore”ground information, so I can tell you all about our highlights of Roma. I got teary-eyed our last afternoon thinking about leaving, and of how I’d miss all these beautiful cobblestoned streets, getting lost within them, and turning the corner to find something as spectacular as the Trevi Fountain (we ended up “finding” it at least eight times total throughout the trip), Vatican City, or the Pantheon. The locals, few and far between in August (when they all head beach- and mountain- ward for their summer vacations) were very friendly for the most part. Dani was quite the celebrity, as she made even the sternest looking Vatican guards all goo-goo-ga-ga mouthed and making silly faces at her. The splendours of Vatican City, the Colosseum, and the Roman Forum really need no praise from me, as I’m sure it’s been written about thousands of times and depicted way more beautifully than I can describe. Or more than I would perhaps enjoy to, since I’ve gotten less than three hours of sleep last night. There are definitely things I will be glad to leave behind, one very important one I had already mentioned earlier: the lack of accessibility for infants in strollers. When riding the metro, it’s faster to take your stroller up and down the escalators to save yourself a lot of grief. 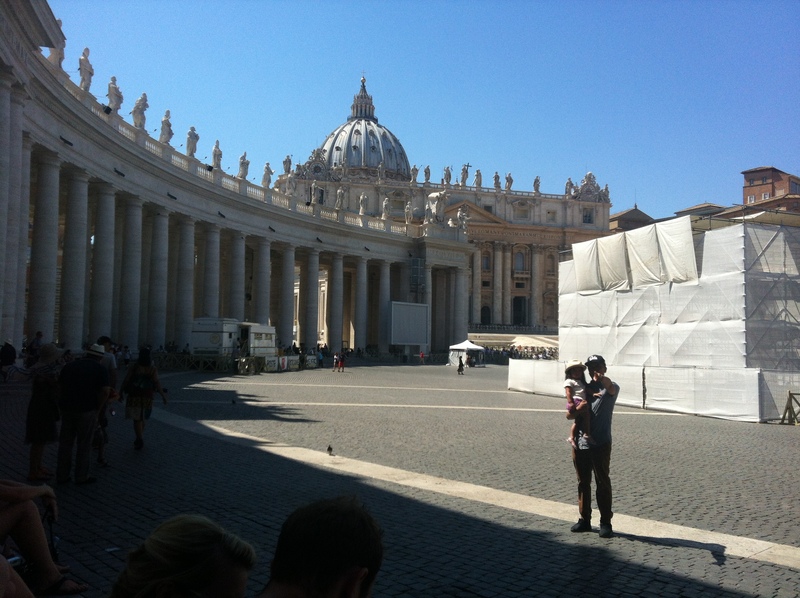 We didn’t even bother bringing it along to the Vatican, which is very stair-ridden and crowded. 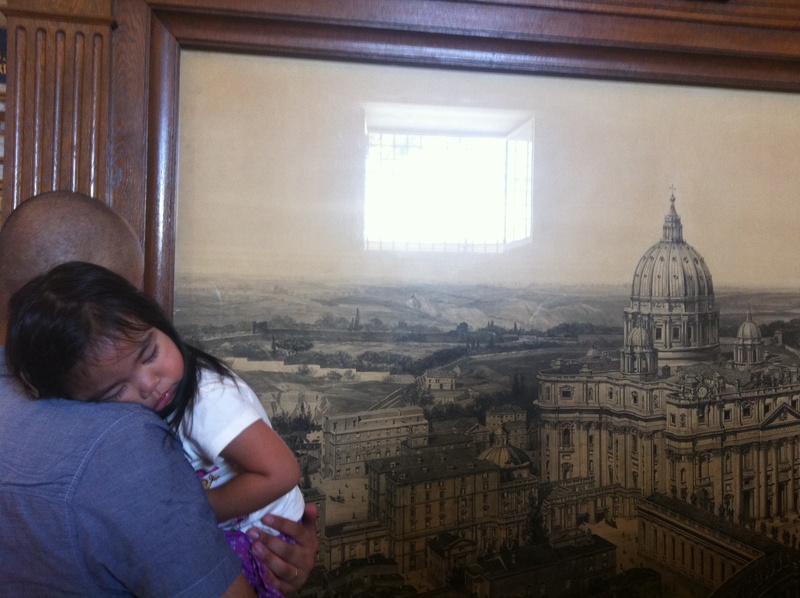 It was a good decision overall, as we were able to take the “fast-track” route to the Sistine Chapel quite painlessly, with Dani content in Daddy’s arms all day long. 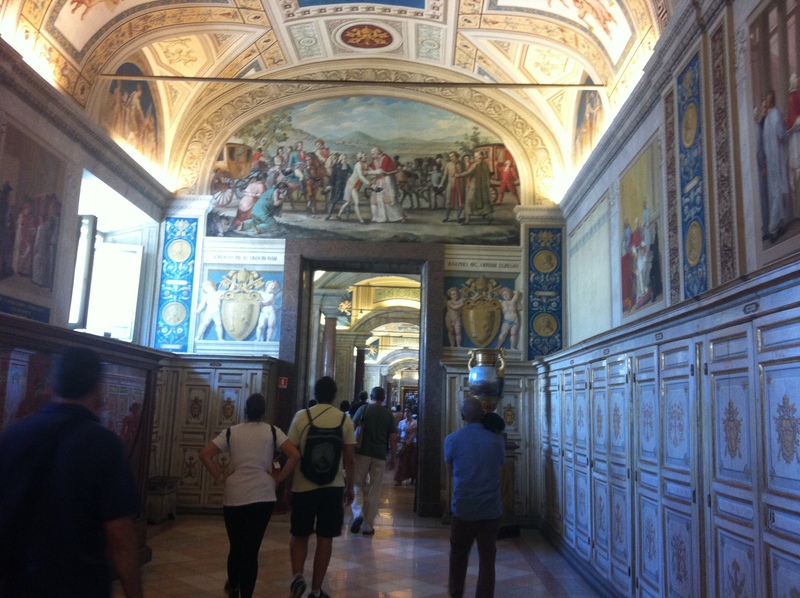 If you are unaware, the Vatican museums are gigantic, so unless you’re travelling with a bored, fussy almost-two-year-old, it is safe to say you can spend a half or even full day sightseeing in there alone. I have great admiration for those with art history knowledge, who can stare at a painting and know exactly which fabulous representation lies behind it. That’s not for me, however. I think museums are boring. Another thing I don’t care for is the heat. I know people enjoy summer, and kudos to you all, but I get very dizzy and tired to the point of passing out when it’s too hot. Plus, our hotel was a good 15-20 minute walk from the metro station (bless those dear souls who advertised that it was only a “short walk” away). Add that to a 7- or 8-hour long day already, and you can see why we headed “home” early every night. I do wish we had taken some snapshots of the mighty Colosseum by moonlight, however. 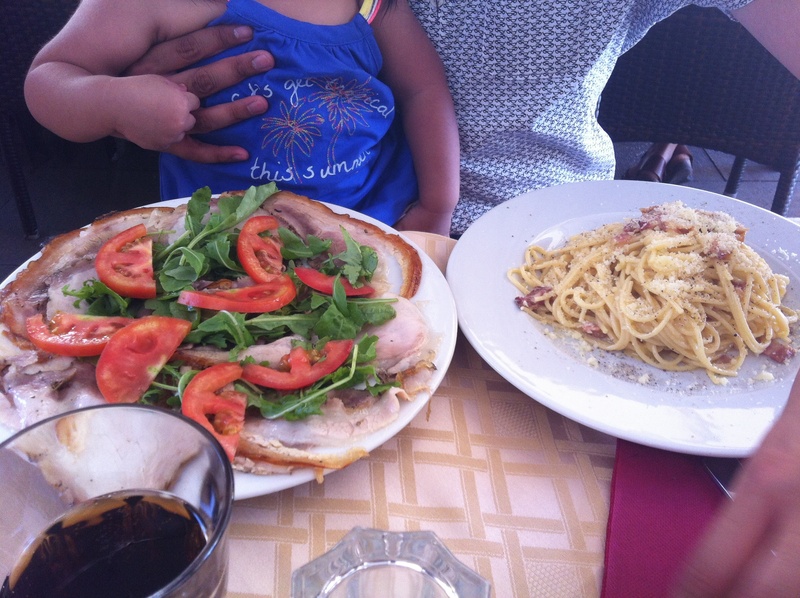 Rome is very dirty. There is graffiti everywhere, and not even the nice-looking Beat Street kind. There are no local regulations to pick up dog doody, so guess what you should be careful of before walking into it. And gosh darnit, people smoke a LOT. Stinky! 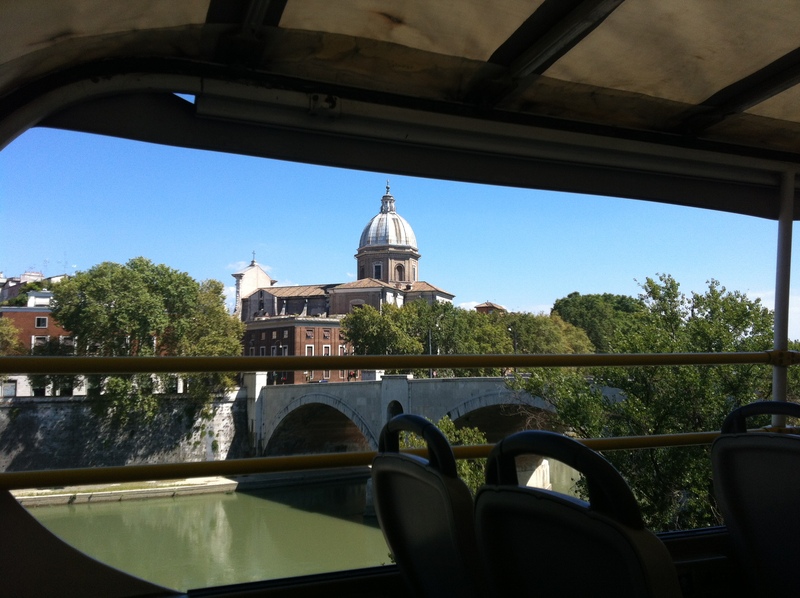 All in all, Rome is beautiful and rich in history, but old and inconvenient. This is my honest opinion only. I shall leave you with some photos of our travels within this majestic city, as well as a picture of John’s black eye. If I could capture my aching scalp in a photograph, I’d do that too. Both are care of, and thanks to, our darling Dani. 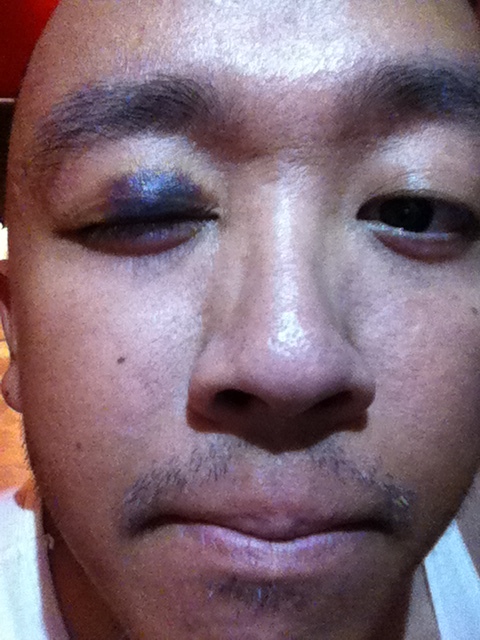 Apparently, she hit Daddy in the eye, and the next day I asked him wtf that ashy black sh*t was. Poor Daddy. And poor Mommy too. If you own or have ever owned a cat, you would know how they like to claw up their bed, a blanket, whatever, in order to cozy up for a nap. Dani does the same with my hair, only she yanks it really hard, smells it, and keeps it in her kung fu grip until she falls asleep. It feels good mostly, but in the morning when I wake up, my scalp is throbbing and aching in patches. That’s what the final picture is of, when she finally slept at 12:00 am but woke up two hours later anyway when we were getting ready to leave. 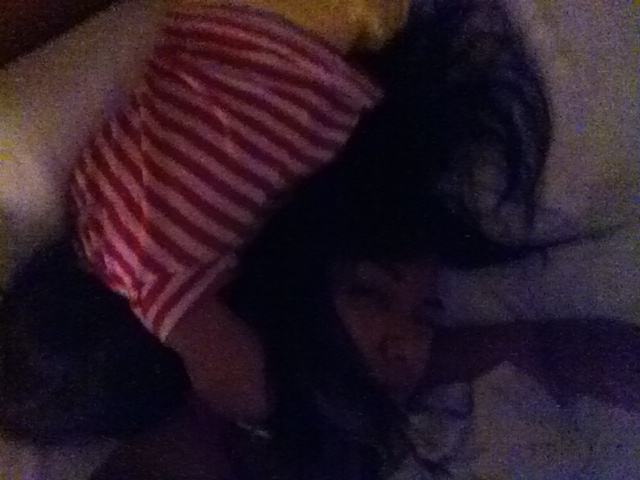 She will not be sharing any beds with us and it’s back to the crib when we get back to Toronto, but I don’t even want to think about that so good night it is… 1:40 am Paris, 7:40 pm Toronto. Next post: Our arrival and first day in Paris. And: it smells like pee. Thanks for keeping us updated. It’s like we are with you guys along the way. I even felt my hair being pulled with your detailed description. Nice shiner on John. Dani packs a punch. Did I just say dessert coffee? Wtf is that?! I meant dessert AND coffee. Teehee. Thank you for reading 🙂 It’s our last day tomorrow so I will be posting something shortly. My feet Effin’ hurt. Lol. We are also home as of 7:40 pm, as opposed to after midnight since Wednesday. Whoa!